Daystar TV shared this image on their facebook page earlier today. Prevention is better than cure when possible. 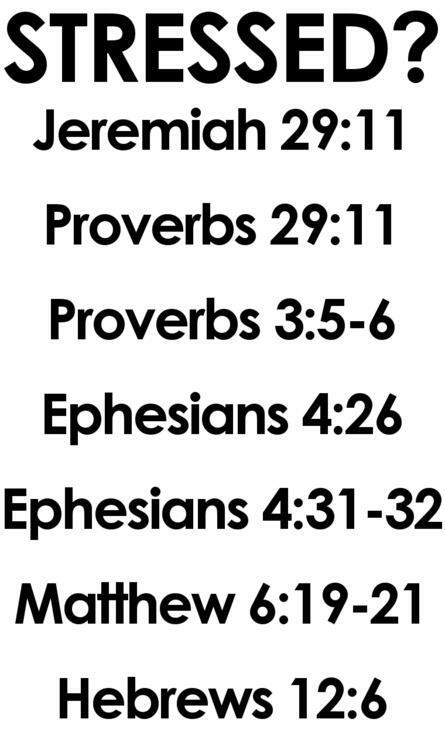 These Bible verses should also be helpful to you if you're part of the work force (or working) already. The way to prevent stress is to read these Bible verses, believe them and meditate upon them over and over again. Read it over, say it out loud if you want (it works).